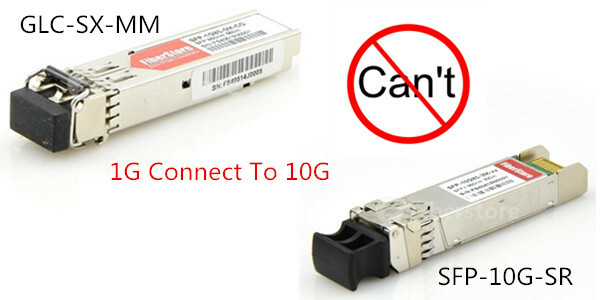 SFP-10G-SR is a Cisco multimode 10G transceiver. It supports up to 400m link length when uses 4700Mhz KM OM4 multimode fiber (MMF ). Usually, it was used in a switch SFP slot and support on a wide range of Cisco switches and routers. In the market, the SFP-10G-SR price is various, from $ 10 to $ 800. Which one should I choose? Knowledge of SFP-10G-SR compatibility and price will be provided in this blog. The SFP-10G-SR is a Cisco 10G SFP+ transceiver module. It supports bi-directional, serial-optical data transfers across fiber optic networks. 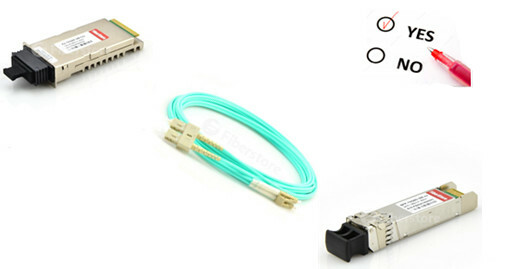 It is equipped with two connectors: a SFP+ male edge connector that plugs into the switch’s SFP+ port, and a duplex LC female connector for the fiber optic patch cable. Since it is hot-pluggable compliant, the Cisco SFP-10G-SR transceiver can be plugged directly into any Cisco SFP+ based transceiver port, without the need to power down the host network system. This capability makes moves, adds, and changes quick and painless. When you buy SFP-10G-SR transceivers for your switch, you are told to buy “brand” SFP-10G-SR from your network equipment manufacturer in order to keep your system running properly and safely. The “brand” SFP-10G-SR compatibility may never have any issues and the price is therefore very high, usually several hundred dollars. But since the transceivers are all manufactured based on MSA (Multi-source Agreement), which strictly define the operating characteristics of optical transceivers so that system vendors may implement ports in their devices that allow MSA compliant transceivers produced by name brand, as well a third party vendors, to function properly. Transceivers that manufactured by third party vendors usually called compatible transceivers, such as compatible Cisco SFP-10G-SR transceivers. 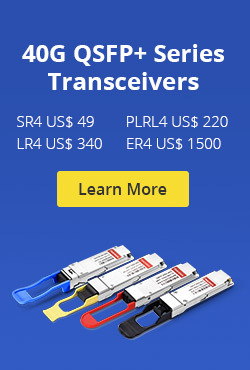 Usually, these compatible transceivers are tested on the corresponding switch before selling, therefore, the compatibility can also be ensured. Cisco SFP-10G-SR matrix can be found here. Since equipment SFP-10G-SR vendors all rely on MSAs when designing their transceivers, every supplier can produce the transceiver modules with the same functions. For this reason, there are many module suppliers from which customers can choose freely. As we all know, freedom of choice is the foundation of the efficient operation of markets. In order to gain a bigger share of the market, those vendors may act as efficiently as possible, which may drive down costs and offer cheaper transceivers to customers. Following table gives a SFP-10G-SR price comparison based on several popular transceivers vendors for your reference. From the table above, we can see that the SFP-10G-SR price of the Fiberstore is the cheapest. We offer the exact same SFP-10G-SR transceiver as Cisco, but at a much lower price! 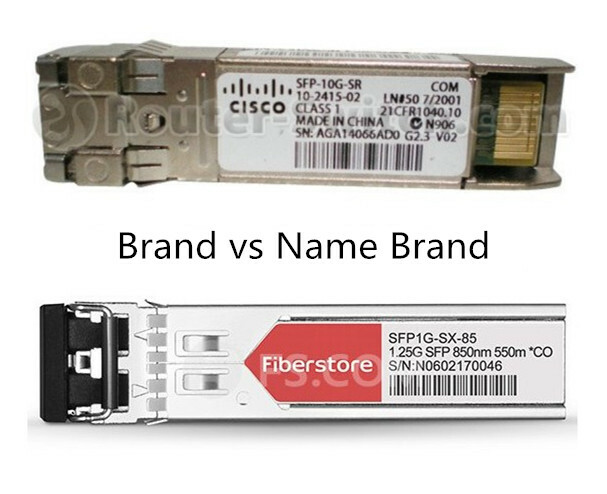 Just compare the cost of buying a brand name Cisco SFP-10G-SR from one of our competitors to the price of purchasing the same transceiver from Fiberstore, or another third-party supplier. 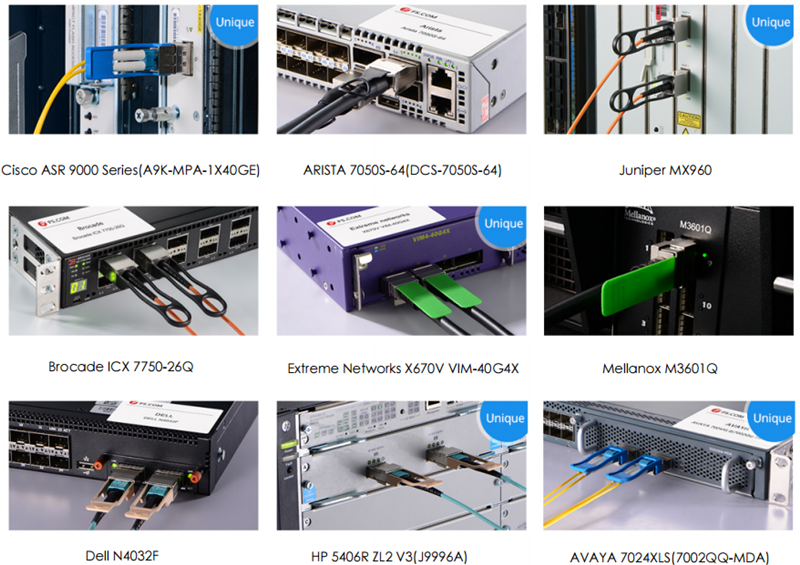 Besides, all optical transceivers from Fiberstore are tested in our test assured program before selling, so the 100% compatibility can be ensured. 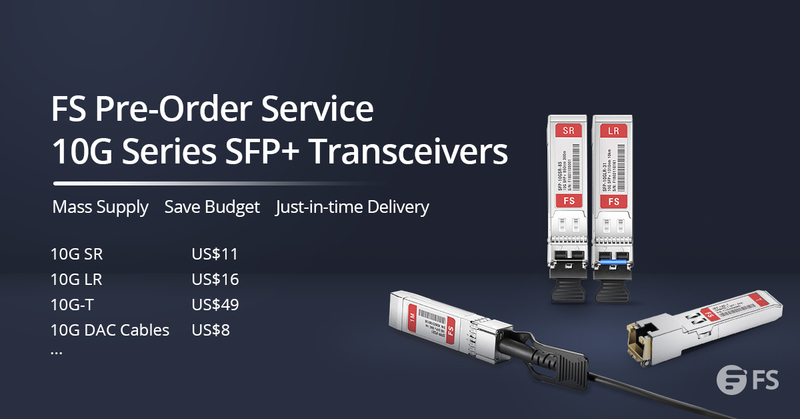 When you purchase a SFP-10G-SR transceiver from Fiberstore you’ll not only get the best price but also get the best quality and compatibility. This entry was posted in SFP+ Transceiver and tagged SFP-10G-SR, SFP-10G-SR Price on December 14, 2016 by Alice.Gui. The Cisco 4500 series switches provide high performance, mobile, and secure user experiences through Layer 2-4 switching investments. Since they have a centralized forwarding architecture that enables collaboration, virtualization, and operational manageability through simplified operations, therefore, more and more people choose to use 4500 series switch in their network. As we know, once we use a network switch, we may use some transceiver modules. In this article, some SFP+ transceivers that supported for Cisco 4500 series switch will be introduced. 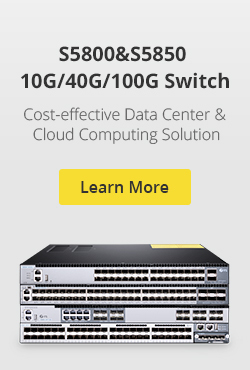 Cisco 4500 series switch include 4500 Series and 4500E Series switch. Among, 4500 series include Catalyst 4503 Switch, Catalyst 4506 Switch, Catalyst 4507R Switch, Catalyst 4510R Switch. 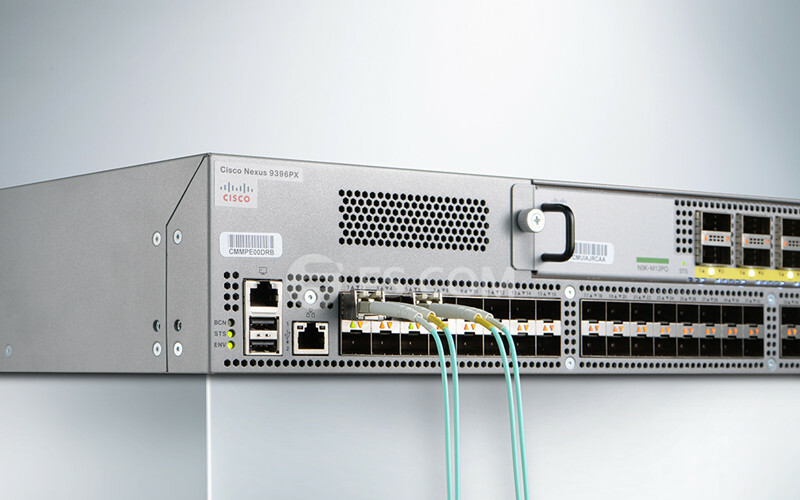 With forward and backward compatibility spanning multiple generations, the new Cisco Catalyst 4500E Series provides exceptional investment protection and deployment flexibility to meet the evolving needs of organizations of all sizes, which include Catalyst 4503-E Switch, Catalyst 4506-E Switch, Catalyst 4507R+E Switch and Catalyst 4510R+E Switch. SFP+ ports operate in full-duplex mode and are present on the WS-X4516-10GE and WS-X4013+10GE supervisors, as well as some line cards. These ports use the 10GBASE-SR, 10GBASE-LRM and 10GBASE-LR SFP+. SFP+ connectors vary with interface type and may use multimode fiber (MMF) or single-mode fiber (SMF) cable. The Cisco supervisor engine is the brain of many of Cisco’s switches, which refers to specific modules that can be placed in a modular chassis. Cisco 4500 series and 6500 series switch both require supervisor engines to work. In fact, the transceivers type depends on the port type of supervisor engine. So, it’s necessary to identify the port type of your supervisor engines first. In following table, I display some supervisor engines that both supported for Catalys 4500 series switch and SFP+ transceivers. Please note that WS-X4516-10GE, WS-X4013+10GE, WS-X45-Sup6-E, WS-X45-Sup6L-E and WS-X4606-X2-E can also be used for X2 transceivers with CVR-X2-SFP10G converter. According to Cisco 10-Gigabit Ethernet Transceiver Modules Compatibility Matrix, all supervisor engines mentioned above can support SFP-10G-SR, SFP-10G-LRM, SFP-10G-LR, SFP-10G-SR-S and SFP-10G-LR-S SFP+ transceivers. Besides, WS-X4712-SFP+E, WS-X45-SUP7-E, WS-X45-SUP7L-E, WS-X45-SUP8-E and WS-X45-SUP8L-E can also support SFP-10G-ER, SFP-10G-ZR, SFP-10G-ER-S and SFP-10G-ZR-S SFP+ transceivers. All SFP+ transceievrs can be found in FS.COM. This entry was posted in Switch & Transceiver and tagged Catalyst 4500, catalyst 4500 series, Cisco 4500, Cisco SFP+, SFP-10G-LR-S, SFP-10G-SR, SFP+ Transceiver, ws-x45-sup7l-e, WS-X45-SUP8L-E on August 11, 2016 by Alice.Gui. FiberStore SFP (Small Form-factor Pluggables) is a compact, hot-pluggable transceiver used for both telecommunication and data communications applications. SFP transceivers are designed to support SONET, Gigabit Ethernet, Fibre Channel, and other communications standards. SFP module (volume ratio GBIC module reduced by half, and more than double the number of ports can be configured in the same panel. SFP module GBIC function basically the same, some switch vendors called the small of GBIC (Mini GBIC). SFP transceivers have many different kinds of sending and receiving, users can choose appropriate for each link of the transceiver, and to provide a based on the available optical fiber type (such as multimode optical fiber and single mode optical fiber) can achieve “optical performance”. Available optical SFP modules are generally divided into the following categories: wavelength 850 nm / 550 m distance of the MMF (SX), 1310 nm wavelength / 10 kilometers distance from SMF (LX), 1550 nm wavelength/XD 40 kilometers distance 80 km, 80 km distance from ZX, distance of the EX or EZX, and DWDM. SFP transceivers provide copper interface, also makes the main host devices can also be designed for optical fiber communication via UTP cable communication network. 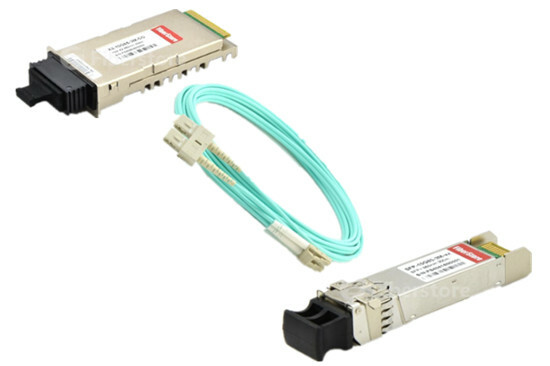 There is also a wavelength division multiplexing (CWDM), and single fiber “two-way” (1310/1490 nm wavelength ascending/descending) of the SFP.SFP Transceivers also have many brands,Such as major brands we provide Cisco SFP (Cisco mini gbic),HP SFP, Juniper SFP, Netgear SFP etc..All our fiber transceivers are 100% compatible with major brands. Commercial SFP transceivers provide rate reached 4.25 G BPS. Several kinds of packaging form for XFP 10 Gbps transceiver, and SFP encapsulation is consistent with the new variant “SFP+”. FiberStore manufactures complete range of compatible SFP+ transceivers, such as SFP+ SR(SFP-10G-SR), SFP+ LR, SFP+ LRM, SFP+ ER, SFP+ ZR, CWDM SFP+, DWDM SFP+, BiDi SFP+, and compatible Cisco SFP+(cisco sfp-10g-sr), HP SFP+, Juniper SFP+, Netgear SFP+ etc. The Cisco SFP+ is 10G SFP+ Transceiver, the Cisco? 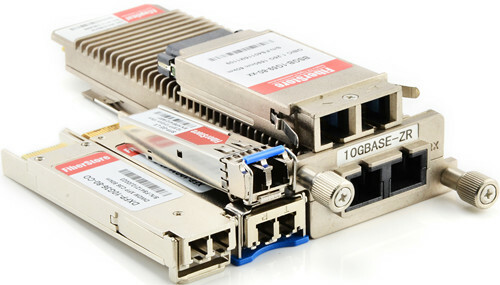 10GBASE SFP+ modules is one kind of fiber transceiver who offers customers a wide variety of 10 Gigabit Ethernet connectivity options for data center, enterprise wiring closet, and service provider transport applications.Fiberstore is an original manufacturer of SFP+ transceiver. Our SFP+ Transceiver supports Ethernet, Fibre Channel, and Sonet/SDH applications across many switching and routing platforms.FiberStore is a good fiber optic transceiver modules wholesale website. This entry was posted in SFP Transceiver, SFP+ Transceiver and tagged Cisco mini gbic, Cisco sfp-10g-sr, SFP-10G-SR on April 24, 2013 by Amelia.Liu.